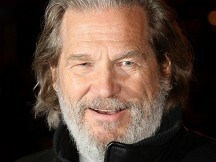 Jeff Bridges has revealed his new self-titled record had its origins more than 30 years ago on the set of the epic film Heaven's Gate. The now legendary six-month shoot threw the actor together with musicians including Kris Kristofferson and one of Kristofferson's players - a young T Bone Burnett. "That was it, that was when we became friends," Jeff said of Burnett. "We stayed friends over the years. We haven't spent that much time together. We're both busy guys. But you know how it is with people that you click with. You just pick up where you left off." When the two got back together on the 2009 film Crazy Heart, their collaboration led to Academy Awards for each and some of the best work of their respective careers. "Music has been a part of my life going back to my early teens, and it just comes out, it just pops out in different ways," Jeff said. "Whether it's playing jazz piano in Baker Boys or being a country artist in Crazy Heart, it's in me and it's just something that comes out every once in a while." Jeff worked with Burnett on the new album, sorting through more than 60 songs and recorded 17 over 12 days. "Something's a little pleasantly off, I hope," Jeff said of the record. "I like to think of it that way. It feels kind of fresh and like something you haven't heard, and also something familiar at the same time." Joss Stone has hit out at Lady Gaga's style, saying her outrageous outfits distract from her musical talent. Take That star Gary Barlow admitted he had been taking advice from X Factor supremo Simon Cowell before stepping into his shoes on the show. The Beatles have backed a campaign to encourage people to appreciate the value of music and discourage illegal downloads.